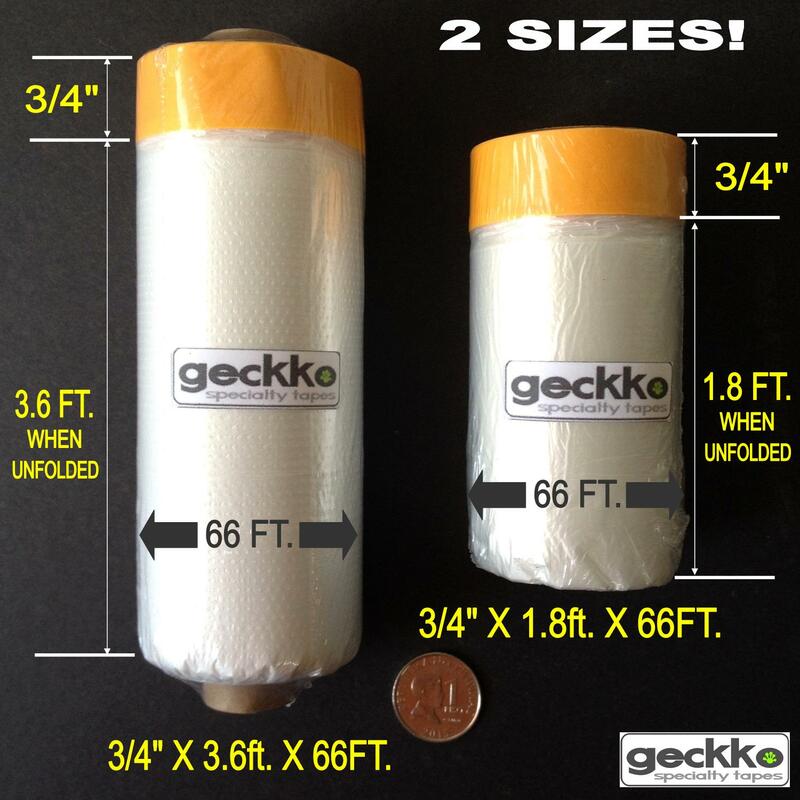 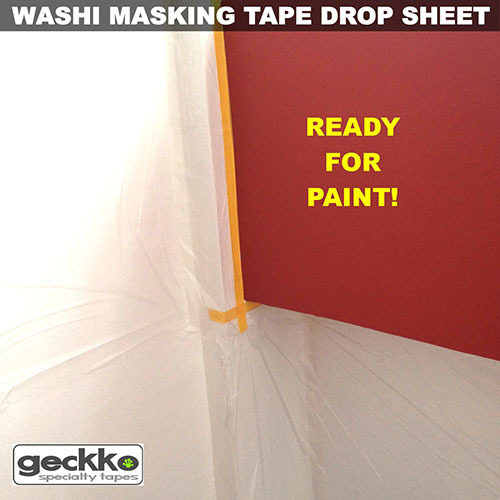 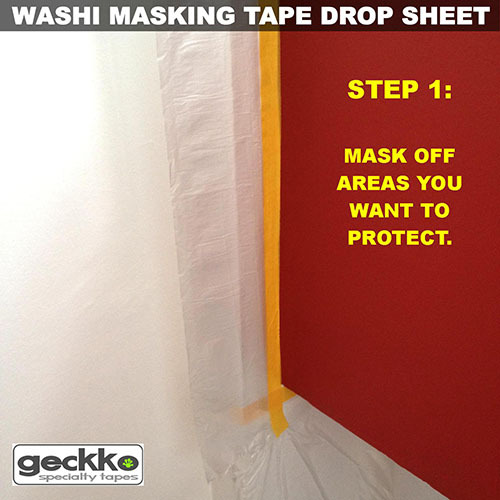 Geckko's new Masking Tape Drop Sheets are perfect for projects that require protection of surroundings from paint splatters or overspray. 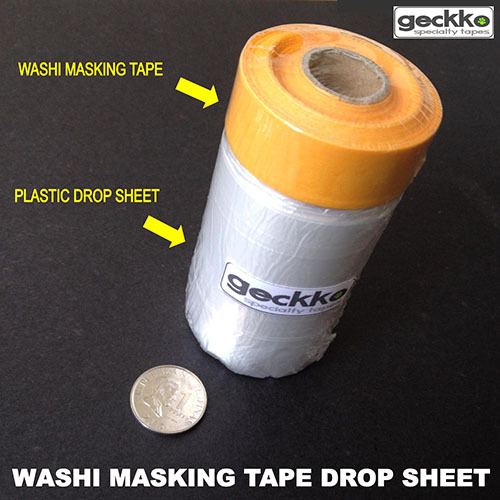 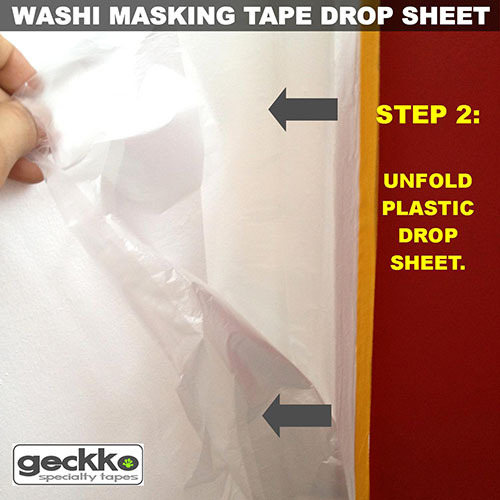 Simply apply the masking tape as you normally would, then unroll the plastic drop sheet to cover the surrounding area. 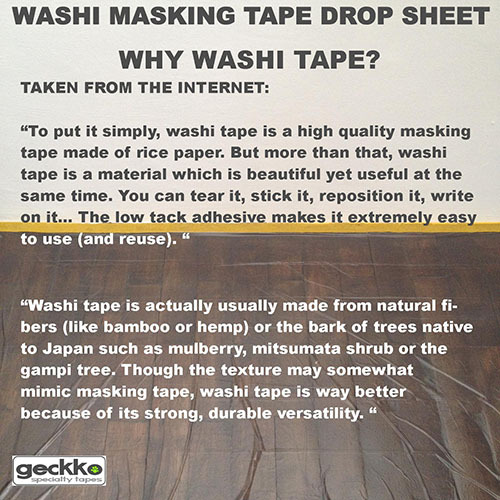 The high quality Washi masking tape leaves no residue and is easily repositionable making them reusable throughout your project. 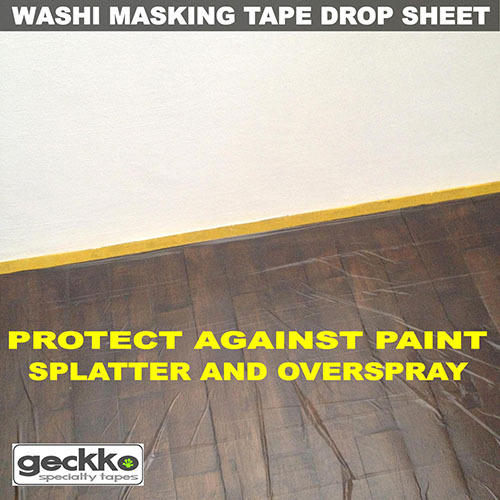 Perfect if you're renovating from one room to the next. 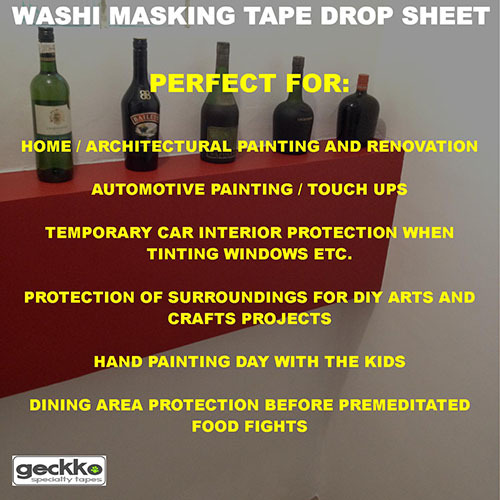 TEMPORARY CAR INTERIOR PROTECTION WHEN TINTING WINDOWS ETC.